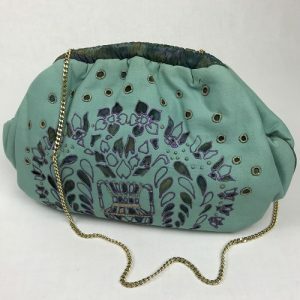 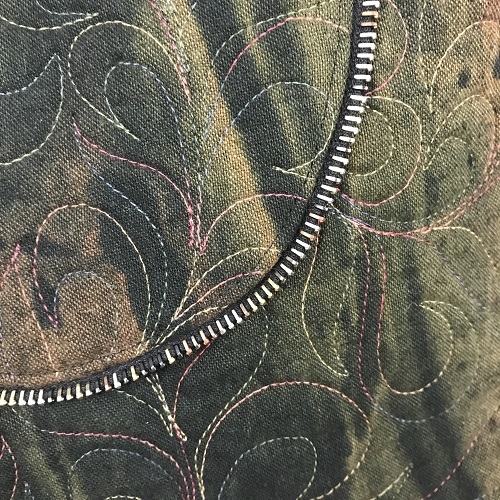 With free motion quilting on cotton/linen/rayon swirl dyed fabric, unique bag has outside pocket trimmed with riri zipper & decorative button. 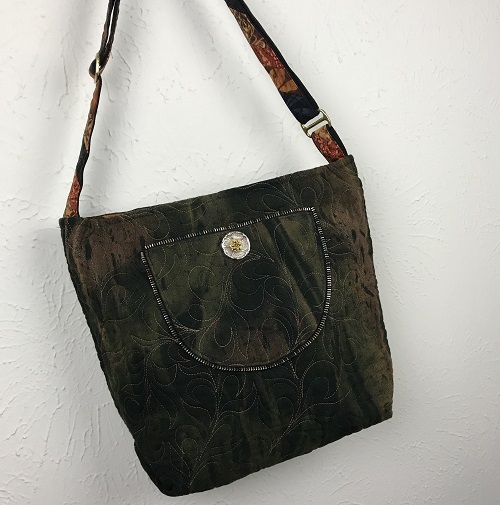 Fully lined with inside zipper hanging pocket & swivel hook, adjustable pieced strap finished with brass 3-bar slides hardware. 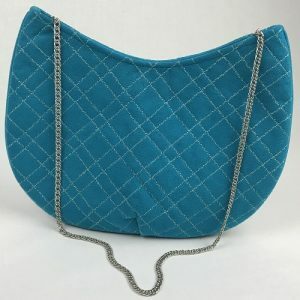 13″ wide x 11″ tall x 3″ deep uses a straight hex-open frame for closure. 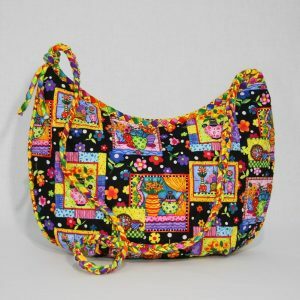 Designed for Sew News Magazine, this one of a kind bag stitched by Linda.